Kindergarten Student Sees the News in Action! Have you ever dreamed of being on television? Did you dream of becoming a newscaster or to sit at a news desk with your favorite reporter? Have you ever wanted to predict the weather or find out where all the traffic jams were before everyone else? Well one kindergarten student at Mary D. Lang Kindergarten Center got to do just that. 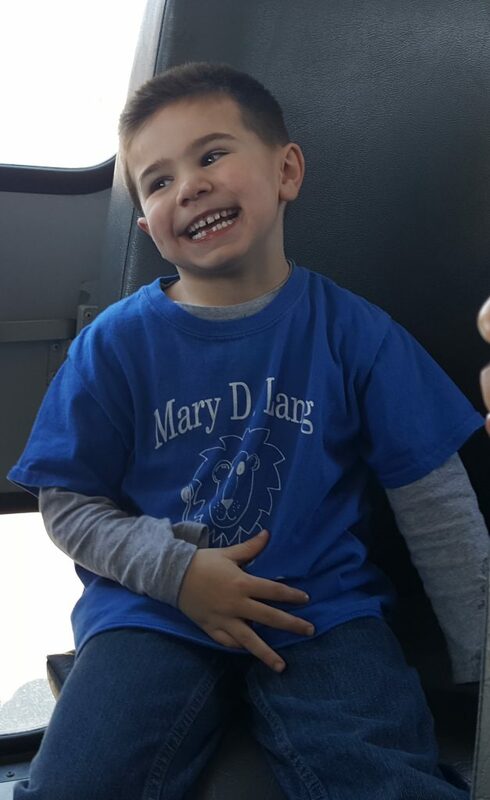 In the past year, Brady Hughes, a student in Mrs. MaryJo Gorcyca’s kindergarten class, has become extremely interested in learning about the weather. He also enjoys geography and learning about how the weather is different across the United States. Brady loves reading about hurricanes and thunderstorms. Brady and his mom, Laurie, were watching Cecily Tynan back in mid-September on her Facebook Live and she commented that they were watching together and that Brady wants to be a meteorologist when he grows up. It was at that point that Cecily Tynan invited Brady to the studio for a tour! He had the opportunity to see the newsroom where the reporters, editors, and producers work to gather the news. 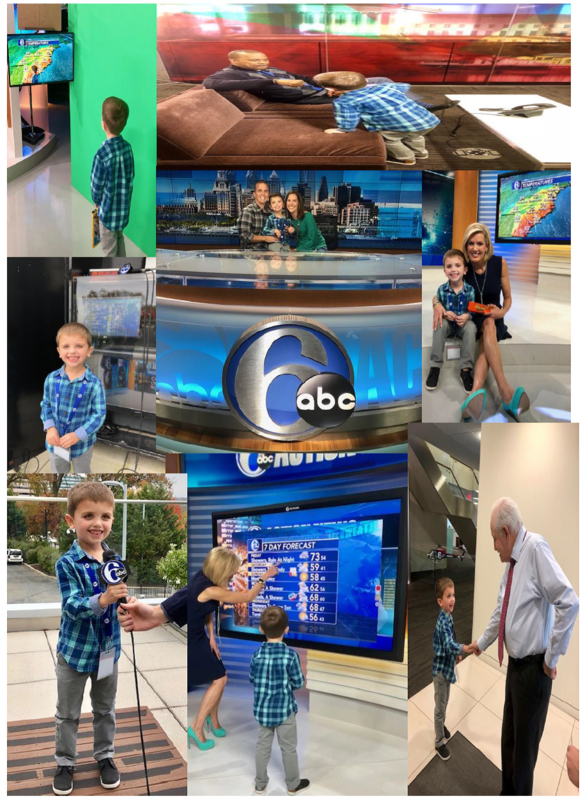 He had the chance to meet Cecily Tynan, play on the AccuWeather board, and sit at the news desk. Brady also enjoyed seeing the production room. He was there when the 4 o’clock news went live, and he had the opportunity to see the job of the producers. He was able to shake hands with Jim Gardener, fist bump Rick Williams, and see the magic that becomes a news broadcast. Surely this will be a trip Brady remembers for a long time. Family Reading Night is a Huge Success! 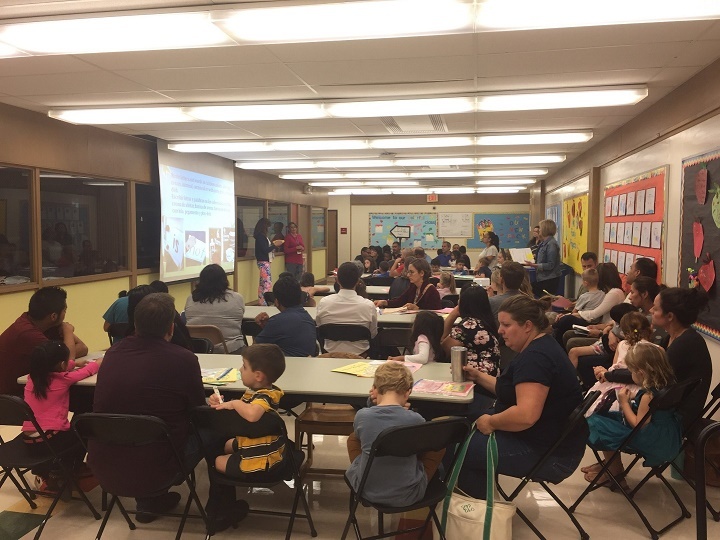 On Thursday September 21, 2018, families gathered at the Mary D. Lang Kindergarten Center to learn about the wonderful reading activities happening at the school. After being greeted in the front lobby, parents were given a bag of resources for use during the evening, as well as at home. Each workshop gave parents a brief introduction to the reading instruction that their students receive dailly. 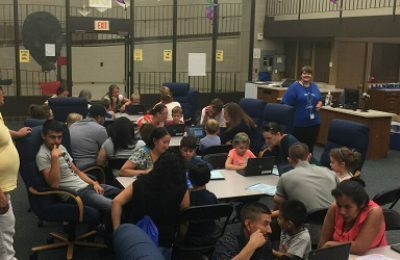 With approximately 81 families in attendance, the buzz of literacy filled the air! 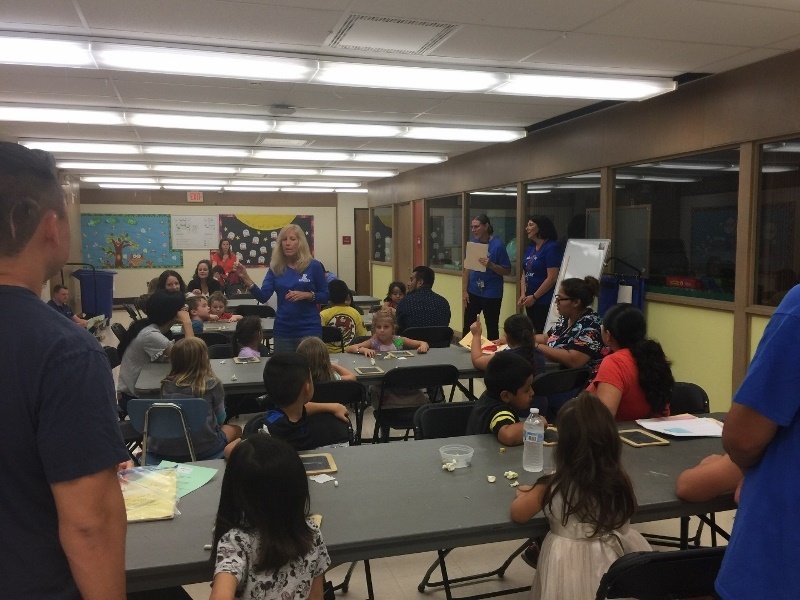 Parents, students, and siblings alike were able to use Reading Eggs and Mathseeds, sing the alphabet song including the signs the students learn, and write using the Handwriting Without Tears method. It was a fantastic night of learning and fostering the love of learning between the school and the homes of our youngest learners. Parents and students learn what sight word and alphabet knowledge instruction looks like at MDLKC. Parents hear about Writing and Handwriting strategies during Family Reading Night at MDLKC. Parents are taught how to log on to Reading Eggs and Mathseeds during Family Reading Night at MDLKC. Each year during the holidays, students are selected to receive a little north pole magic. December is also the month we learn and speak about generosity during our Mindful Monday lessons. The staff at Mary D. Lang Kindergarten Center takes this effort very seriously. Full of kindness, compassion, and generosity, staff pulls wish lists off of a Christmas tree in the faculty room. Each tag is labeled with the age and wishes of an unsuspecting child from the local area. The items listed are prepared only with an age and their desires. Within a day or two of the tags being placed on the tree, the bottom of tree becomes a holding area for wishes coming true. 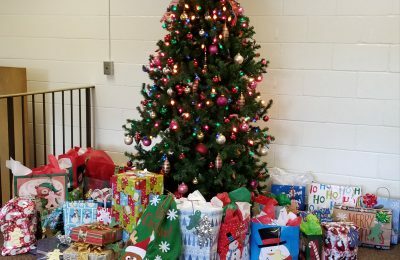 Parents are contacted and the gifts are delivered just in time for Christmas morning. 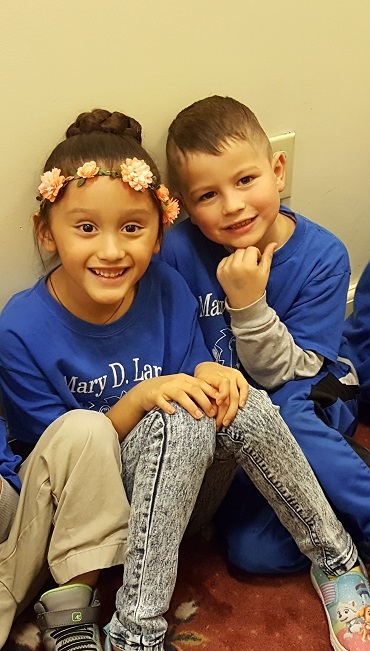 It is our hope and wish that our entire Mary D. Lang Kindergarten Center Family has a wonderful holiday spent with family and friends. A picture of gifts from staff members to students. 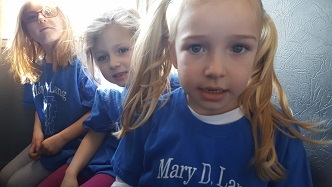 Guidance Counselor, Mrs. Kourtney Phillips, introduced mindfulness to the students at Mary D. Lang Kindergarten Center in an exciting new way for the 2017-2018 school year! The program is called Mindful Movement and is the newest favorite at the school. In the second year of mindful instruction, Mrs. Phillips is teaching classrooms of students how to calm their minds as well as their bodies and to be “in the here and now”in order to have the best experience throughout the day. Mindful Movement is a variation of yoga that initiates thoughtful movements while the instructor gives the directions. It incorporates listening, movement, and relaxation into one activity. The movements themselves require students to be on yoga mats while their minds are taking in refreshing instruction. In addition to Mindful Movement, Mrs. Phillips also uses morning announcements on Mondays to motivate teachers and students to use mindfulness in their morning routines. Mindfulness Mondays also give teachers a resource to use in their morning meeting such as a greeting, an activity, or a moment to reflect. These activities illicit feelings of togetherness, community, belonging, and, most of all, caring. Each classroom received a singing bowl this year to assist teachers in facilitating relaxing conversations, breathing techniques, and activities to focus the student’s energy. 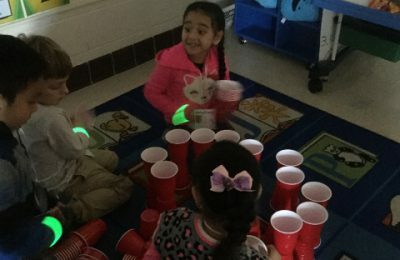 Mindful Movement is another way that teachers at Mary D. Lang Kindergarten Center are meeting the needs of all learners. By incorporating the students’ emotional growth into their educational experiences an amazing learning environment is created. Mrs. Phillips shows students how to calm their mind through mindful movement. 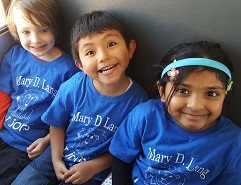 Mary D. Lang Kindergarten Center Sets the Stage! What do you get when you have 305 students, 54 staff members, 6 buses, and a stage play called A Year With Frog and Toad?” A DAY TO REMEMBER FOR EVERYONE! 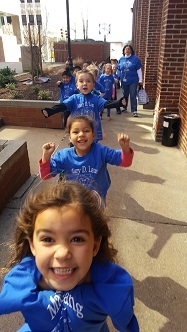 Around eleven a.m. on Thursday, March 9, excitement exuded from the doors of the Mary D. Lang Kindergarten Center! Students scurried in their lines to six different buses. Chatting the whole way to the theater through scenic Southern Chester County the students were buzzing about barns, animals, landmarks, and more! 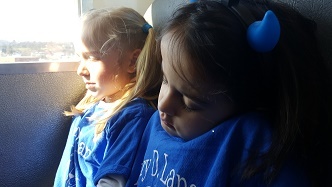 As we pulled into downtown Wilmington, Delaware, the students gasped at all of the different buildings, pointed out the cool vehicles, and waved to visitors they saw as we reached our destination. Students, teachers, and staff were escorted into the theater by the ushers. As the students entered, their eyes were filled with amazement as they gazed at the majestic Copeland Hall that seats 1,200. 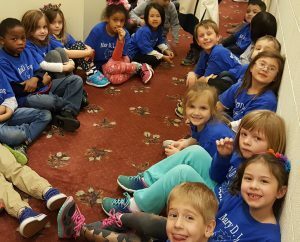 Sounds of upbeat music, melodic conversation between Frog and Toad, and laughter from young theater goers filled the air. It wasn’t long before students from all over joined in on the show by clapping along to the music. Students were mesmerized by the actors, their roles, and their performance. 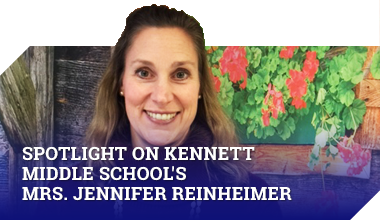 Students could be seen clapping, singing along, and dancing in their plush, fold up chairs. Jump for joy! We are entering the theater! 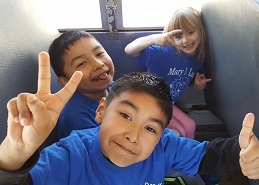 Everything is fun when you’re on your way to a field trip! Going to the theater takes a lot of energy! 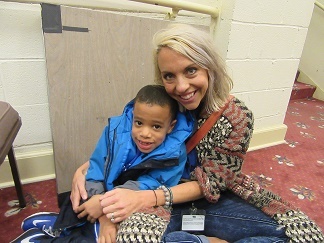 William and Mrs. Phillips had a great time at the show! 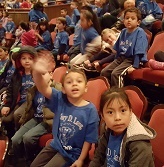 MDLKC students were on their best behavior after the show! 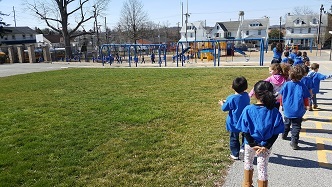 Malcolm, Eduar, and Anagha are excited to see the show. Mrs. Kufen’s class waits for the bus! Students enjoyed the plush pull down chairs. 100 cups could save the day! Detectives really get into their work. 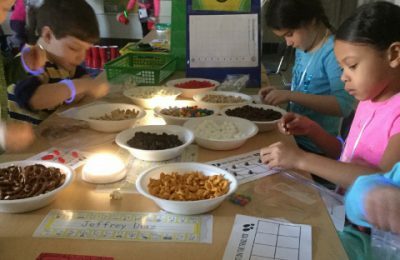 Students in U-6 investigate with snacks as evidence. You can’t hide anything from the glow light! 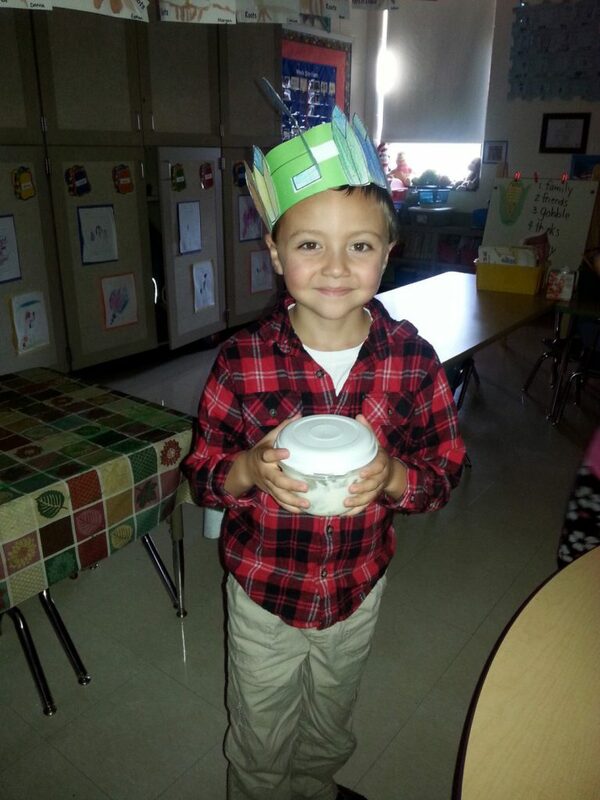 The 100th day of school is always a festive event at the Mary D. Lang Kindergarten Center. 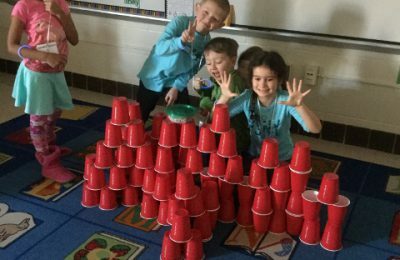 This year, students in Miss Jennifer Daveler’s kindergarten classroom had an extra special day. They walked to the classroom as kindergartners and they entered as detectives! Miss Daveler gathered the students in the library and gave them their mission. As students completed their missions, they earned a word. Each word was a missing piece to sentence where Zero could be found. 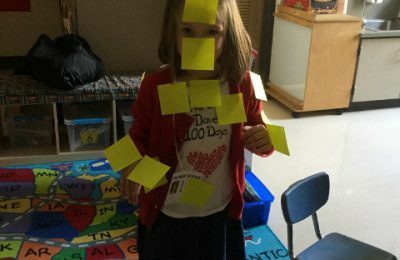 The sentence they completed read, “Zero the Hero is where you like to play.” At the end of the day students found their missing hero, Zero, making 100th day a day students will not soon forget! 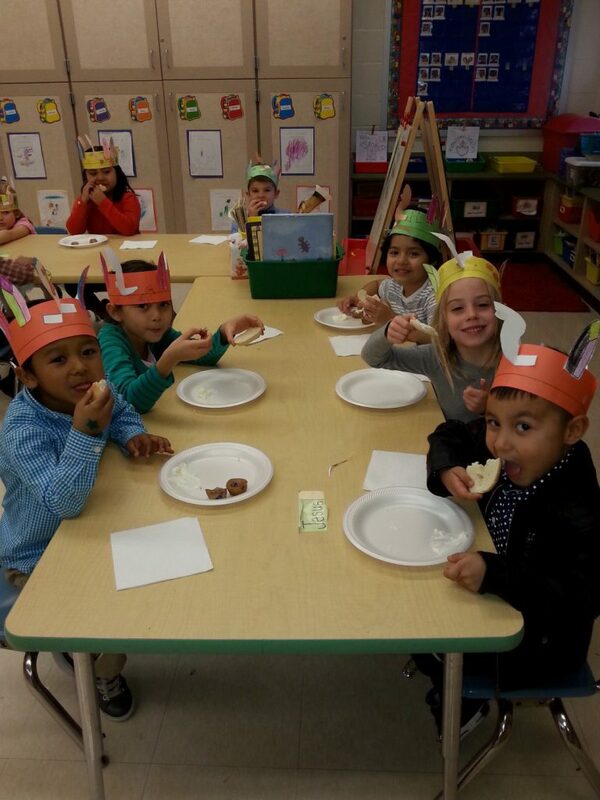 Mrs. Ramagnano’s Kindergartners are Thankful! 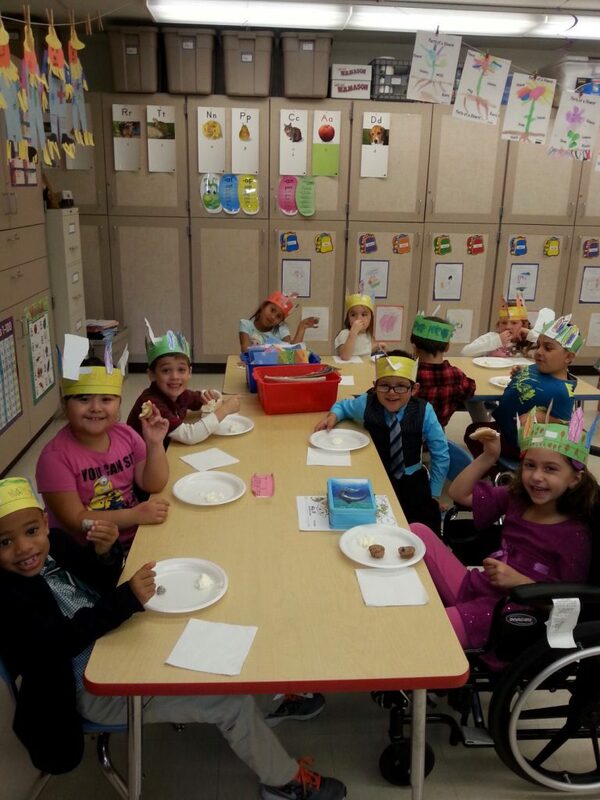 Thanksgiving came to life in Mrs. Jeri Ramagnano’s Kindergarten class in November. 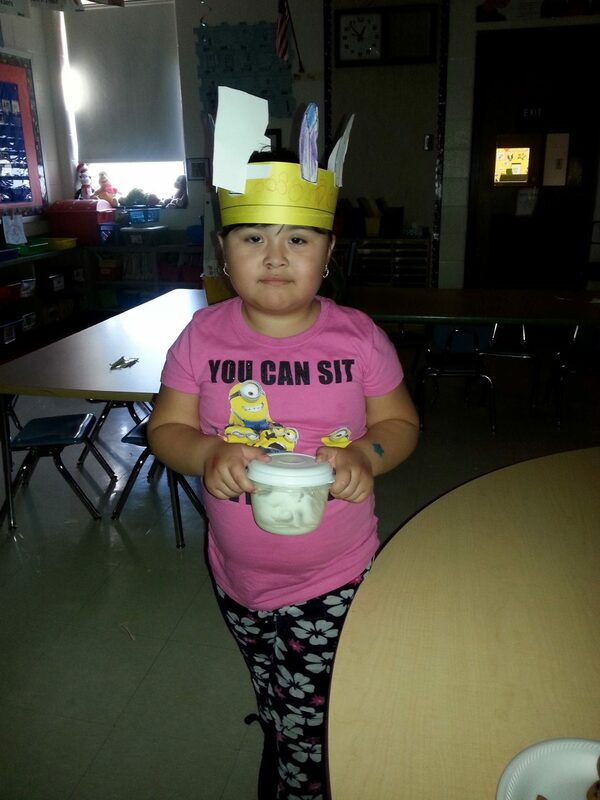 Students created clothing, food, and learned about the ways of the Wampanoag people and the pilgrims who sat down together for the First Thanksgiving. 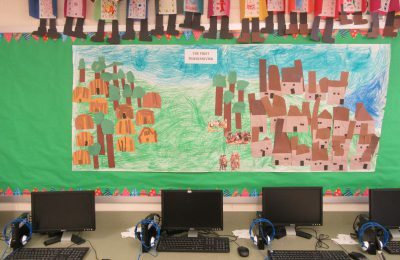 Students created a mural of the wetus that the Wampanoag lived in and houses that the pilgrims lived in. After the work was done, students sat down to a feast where students had the opportunity to try new foods such as sage. 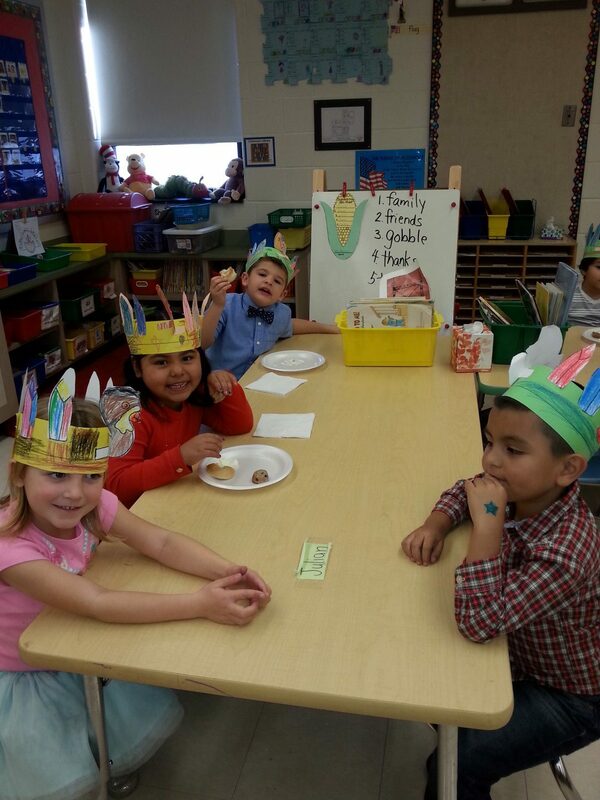 Students will be sure to remember their First Thanksgiving Feast with Mrs. Ramagnano. 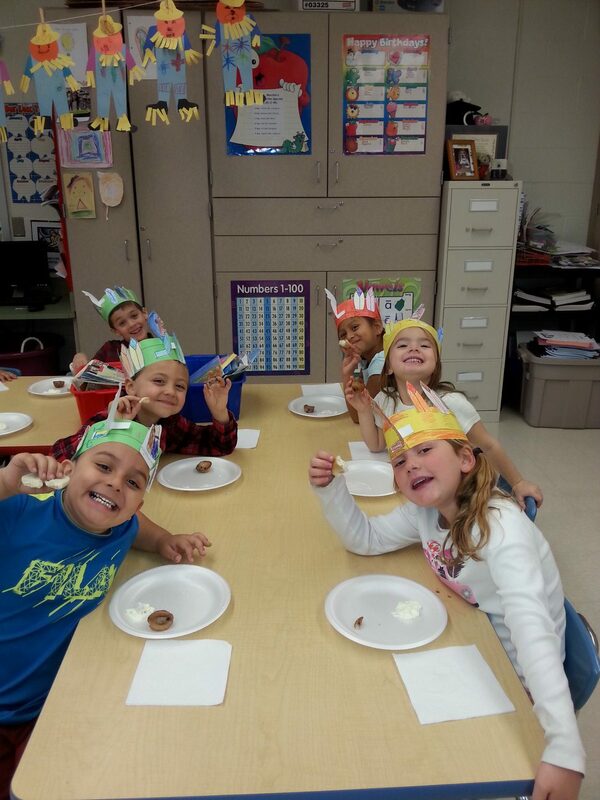 Students in Mrs. Marchini’s Kindergarten class learned how to make butter just in time for Thanksgiving. 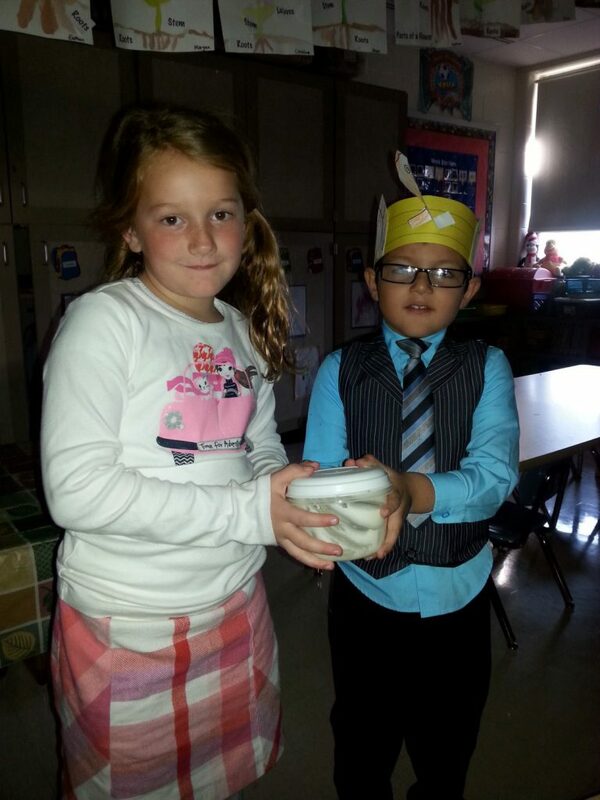 Students followed a recipe, added ingredients, and shook their containers until they made real butter. The work was well worth it when students were able to enjoy the delicious butter on slices of bread.